The selection of five round hand nibs comes complete with a reservoir to help you maintain a consistent flow of ink when writing. A traditional calligraphy nib used for Roman Round Hand, Gothic and Uncial writing styles. 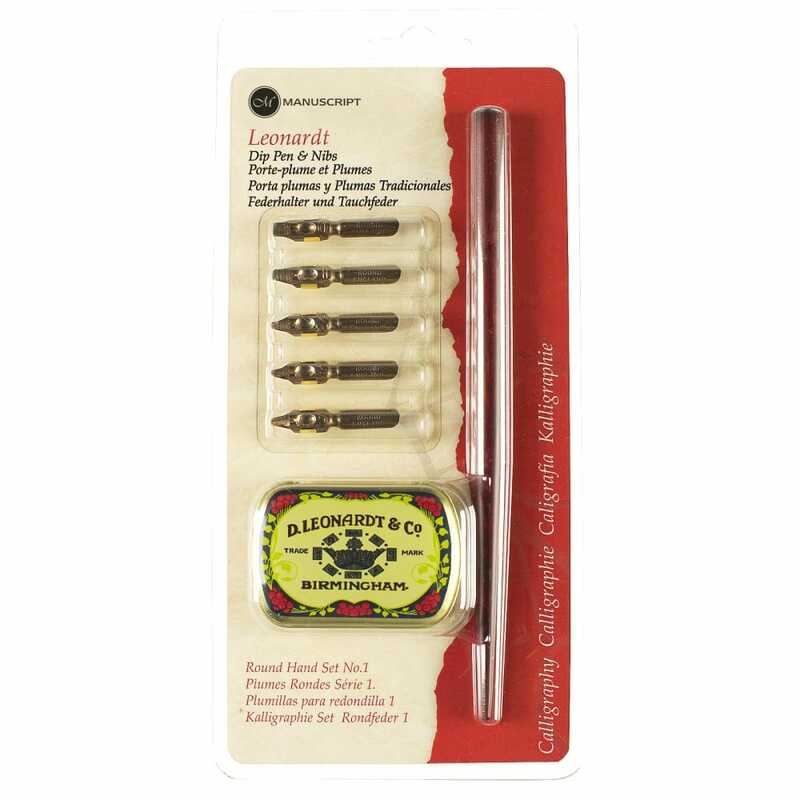 Set contains 1 wooden pen, 5 nibs sizes 0, 11/2, 21/2, 31/2 & 5 ink reservoirs attached and a small storage tin ideal for keeping the nibs safe while not using.